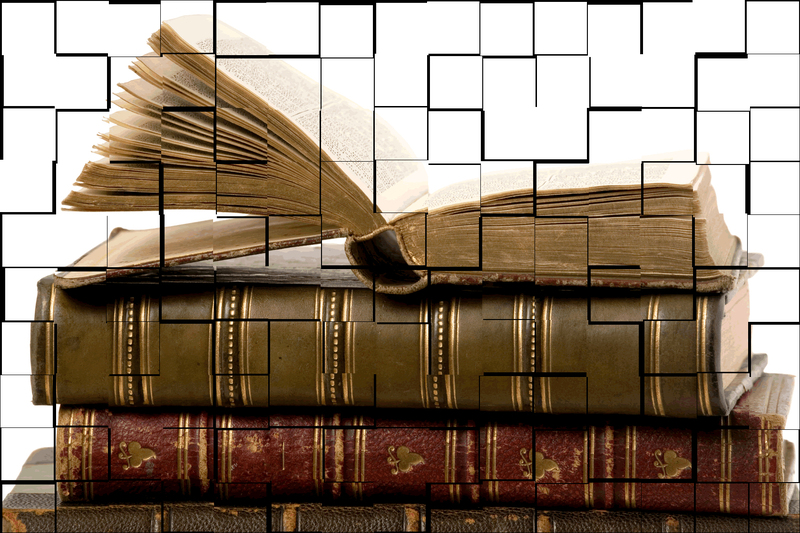 Some publishers are marketing condensed books for busy executives. So how's this for a title: ASAP's Fables! How especially apt, when one imagines the plausible absurdity of an exec too busy to read the one-page conventional version of a fable. 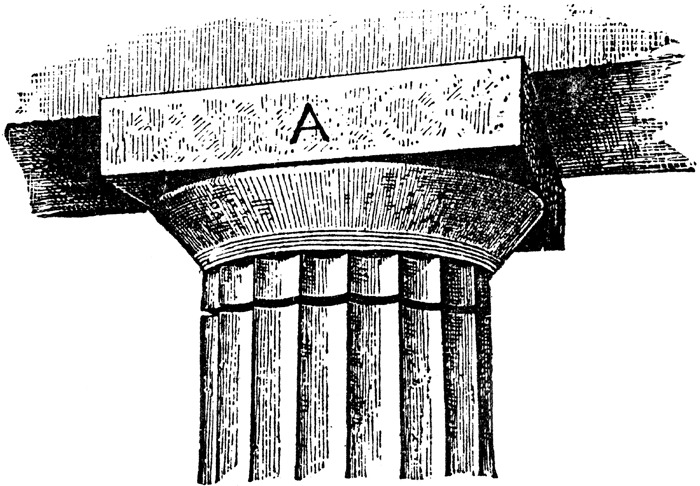 Capital "A" and "Capital A" mean two different things in the context of this old architecture diagram. 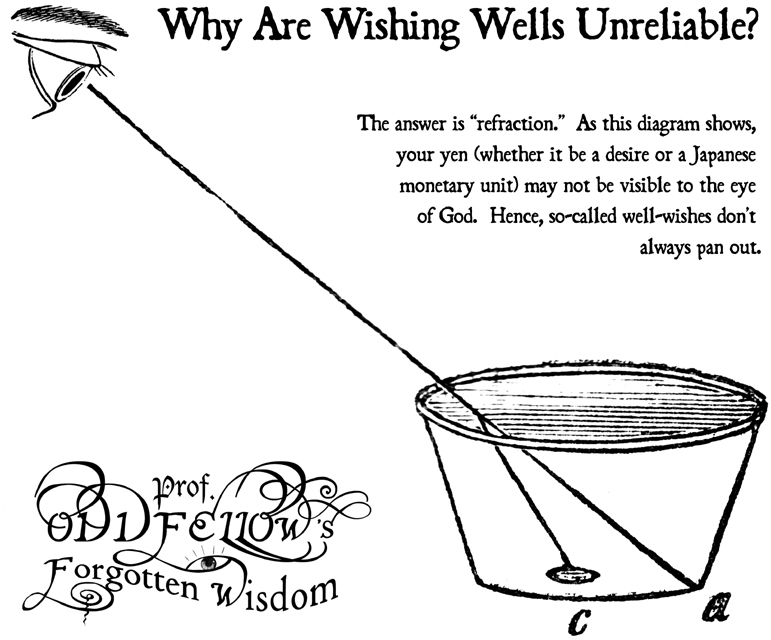 To learn the surprising answer, see my guest blog at the Society for the Promotion of Good Grammar. Piecing together the secret of fire . . . 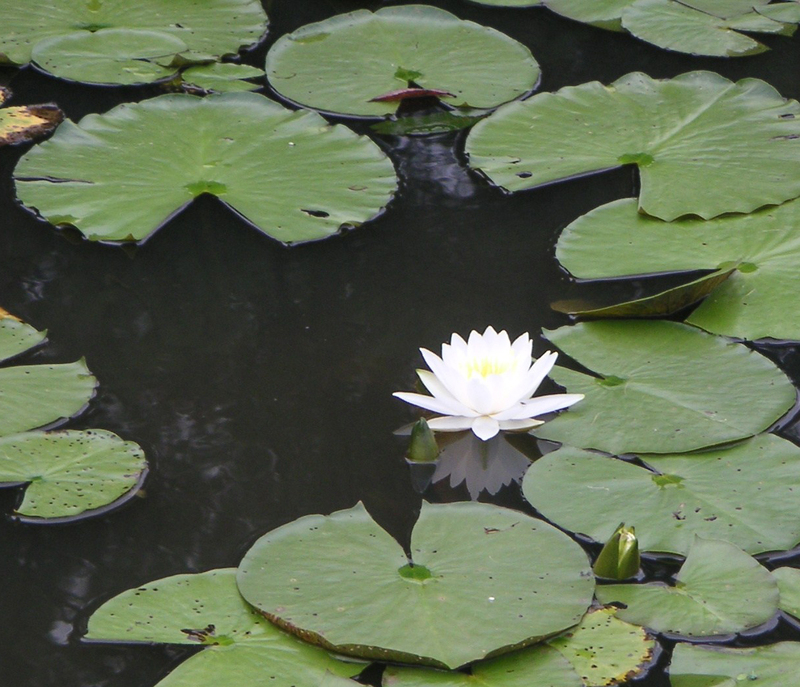 Theory: the Pac-Man video game was inspired by a lily pond. The lily pads, with their triangular missing pieces pointing toward colorful flowers, inspired the munching mouth who chases ghosts. 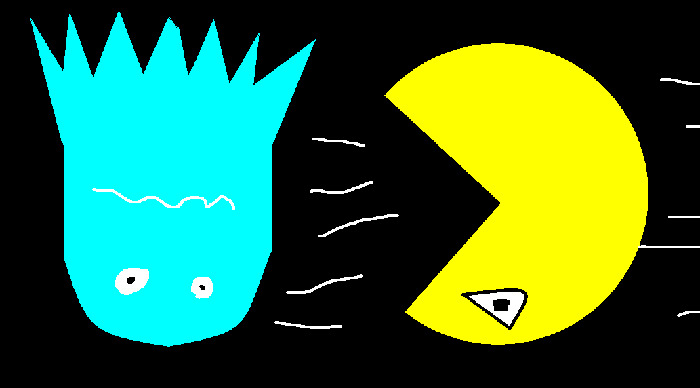 When we flip Pac-Man art upside down, the ghost resembles a water lily blossom. A detail of a lily pad photo from 53x.org. A rotated detail of Pac-Man art, via. One 9-letter word is a fancy name for a magician, or someone who acts as an agent of the supernatural. “Oldest trick in the book,” said Ed. An ounce of ______ is worth a pound of ______. A unicorn in the style of the legendary Trojan Horse. A very handsome heavy leather unicorn chamfron -- the perfect mask for an equine masquerade. A unicorn skull found among picture frames? "Unicorn Disguised" by Qlaudia. The full palette description is here. "I Was Born a Unicorn" by Gabr!ella. The full palette description is here. "Purple Unicorn" by Peachbelle. The full palette description is here. Piecing together the secret of Fatima . . .
Hypnotized by a smile? Oldest trick in the book! All letters in the word must touch (in any direction), and no square may be reused. One of the 8-letter words refers to bright patches of color. What's the difference between collage artists and stamp collectors? Not a lick! The other day someone laughed when I nonchalantly described a miniature trellis as being ten clipboards high. I responded that, as a writer, it's only natural for me to define space in 8 1/2 x 11 inch units (though to use longer units would certainly be legal)! Piecing together the secret of fate . . . The trapping of garden gnomes is ignoble. Gnomic genomes? The picture explains everything! 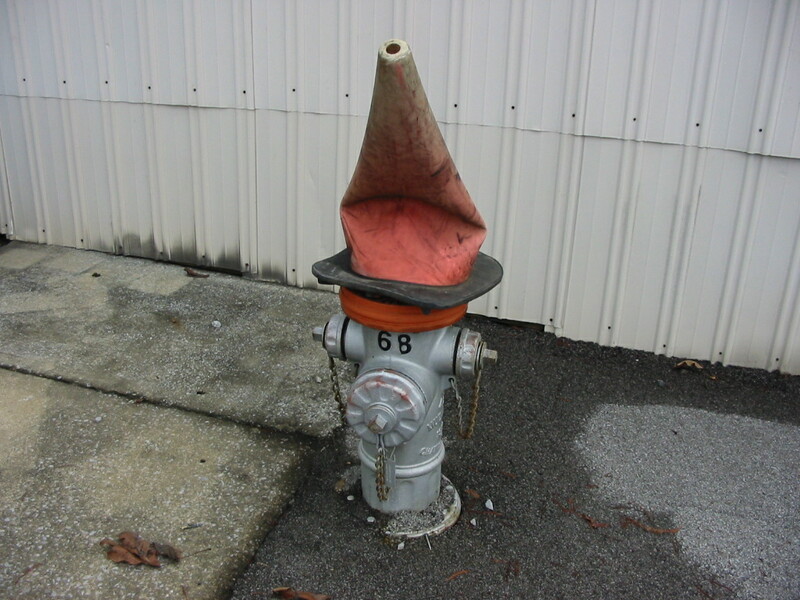 Here's a fire hydrant gnome. Do gnomes grow on trees? Lauri Gröhn offers proof! What's under a gnome's pointed red hat? The Gnome Pebble, discovered by Nicolas P. Rougier, preserves a gnome's footprint. 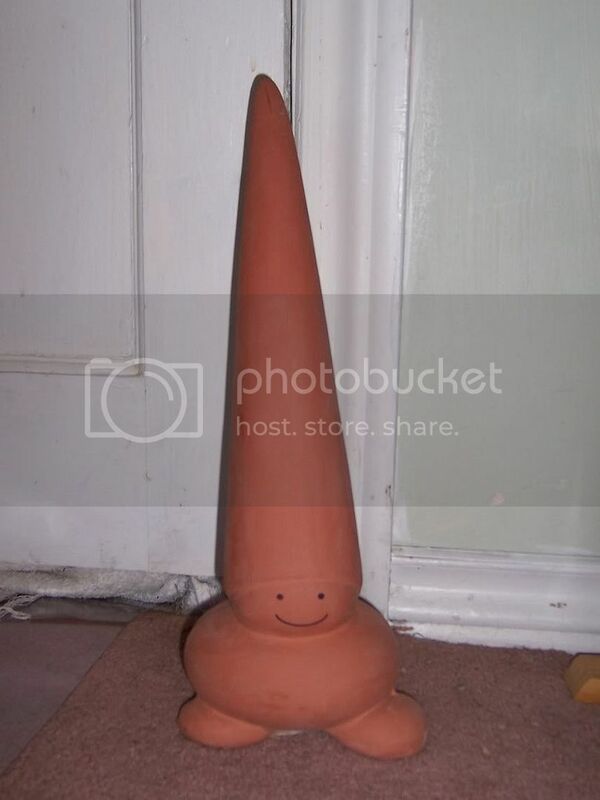 Plaster gnome Danny will never be the same after taking a tumble down a stairway. He was left tragically shattered down one side of his body, and his face and ear took a direct hit. A lovely limestone gnome by Dan Brandemuehl. And one in red cedar by Ray Brooks. Gnomes placed in out-of-service urinals? 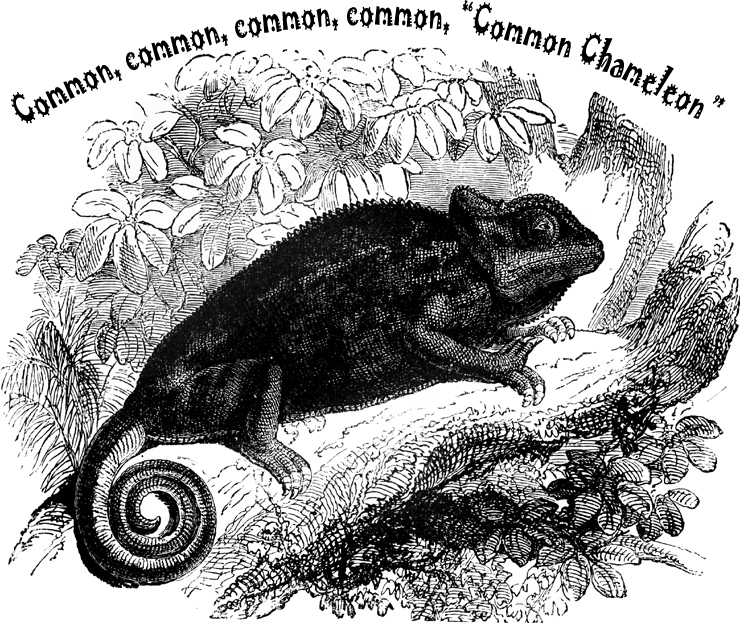 Q: Magicians famously work with doves and rabbits, but which animal invariably gets blamed whenever something goes wrong? By the way, never put a goat in charge of the lights. 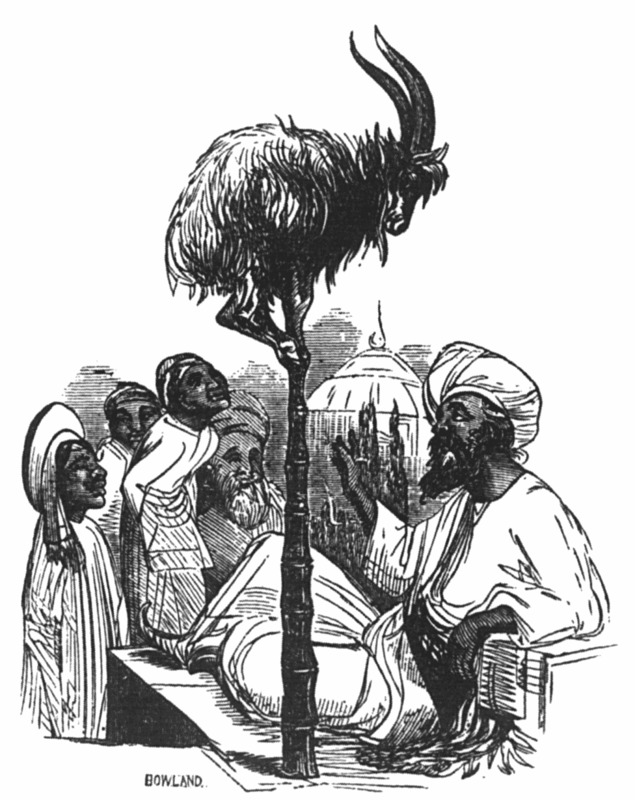 Here's a goat street performer, from Stories about Animals: With Pictures to Match, by Francis C. Woodworth, courtesy of Project Gutenberg. 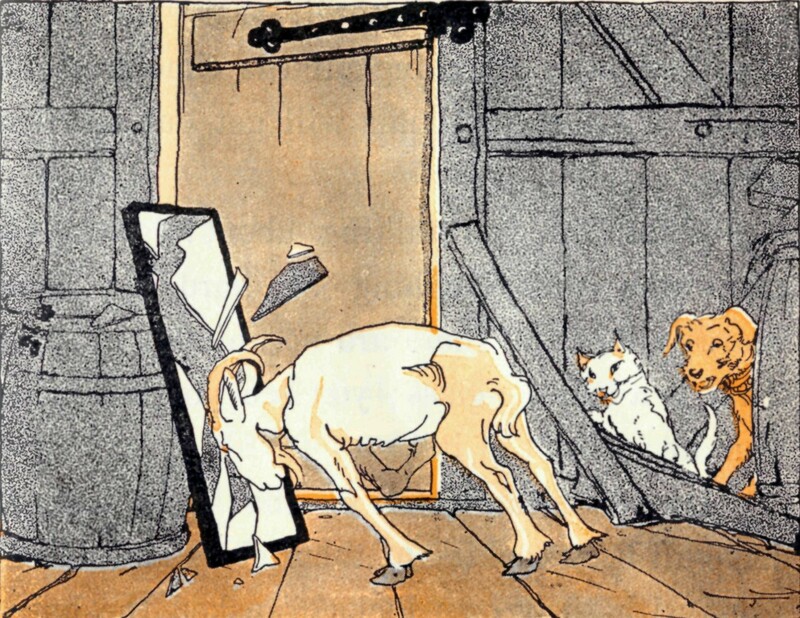 Here's a goat screwing up the "walking through a mirror" illusion, from The Child's World by Hetty S. Browne, courtesy of Project Gutenberg. A baby unicorn shoe, crafted by the folks at Bluebird Forge. A hand-forged baby unicorn shoe. The "super magical unicorn no. 1" envelope art. Sculptor Edward Netley makes amazing wireframe unicorns for the garden, each leaping over a fence. They require eight weeks of twisting to take final form. Regarding one of his sculptures, he explains: "A unicorn is not ridden! It allows one to participate in the ride. The elf shown here is barely balanced as the unicorn jumps the fence. A slight twist of the hind quarters is all that keeps the elf from falling to the ground." 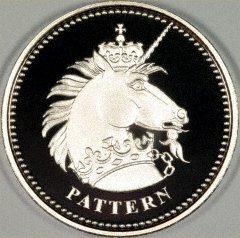 The unicorn king coin by the British Royal Mint. "Unicorn Soup" by Kimib. The full palette description is here. "The Unicorn is Dead" by Prettyghost. The full palette description is here. "Awkward Unicorn" by Trademarkrain. The full palette description is here. Piecing together the secret of fascination . . .
All letters in the word must touch (in any direction), and no square may be reused. One of the 7-letter words refers to cheerful symbols best viewed sideways. What's the dirtiest water sport on earth? Bog snorkeling! Every year, a host of mud-caked competitors get at loggerheads in a sixty-yard peat bog for the coveted "World Champion Bog Snorkeler" title. The international sporting event takes place every August in the dense Waen Rhydd Peat bog on the southern outskirts of the smallest town in Wales, Llanwrtyd Wells in Powys Mid Wales. 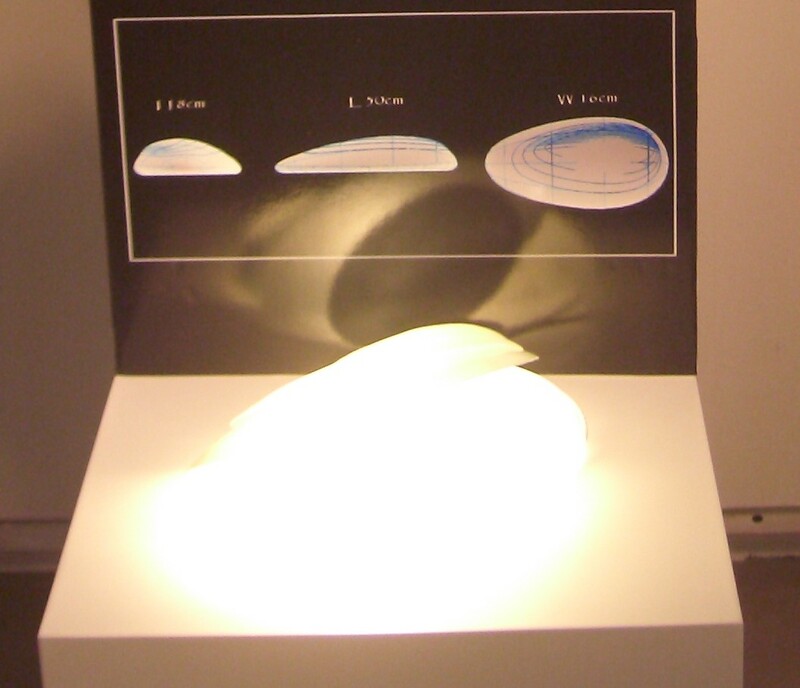 Light from an invisible lamp. Would "caller i.d." help with this invisible telephone user? 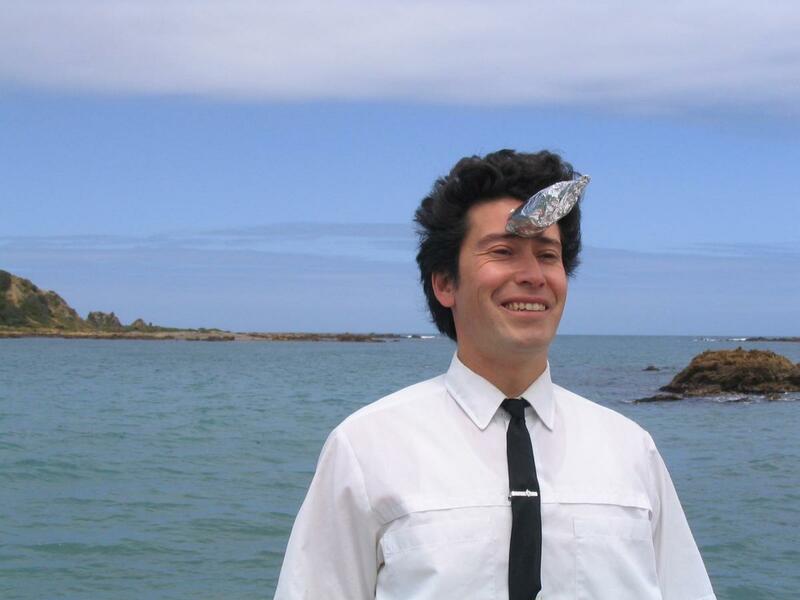 A costume headpiece that makes one's face invisible. And another one (with glowing eyes). Do invisible birds and unseen enemies cast shadows? This invisible mother and child are part of the Salvation Army's "Invisible People" campaign. The office hold-music spirit at work. 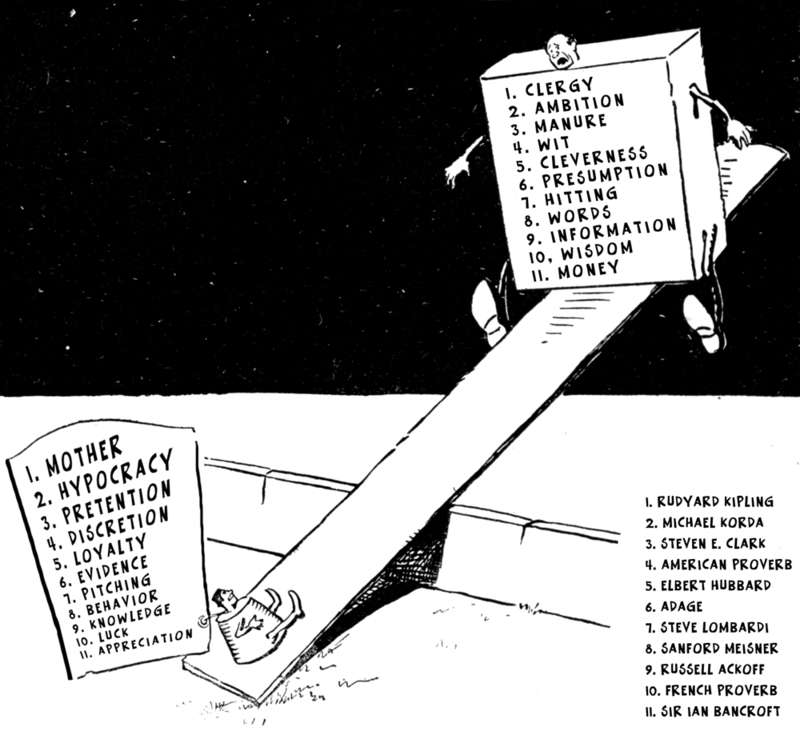 Cartoon courtesy of Jonathan Caws-Elwitt. Delilah: You know a better bait, Samson? Men always respond. I dreamed I had the worst case of Semicolon Cancer in recorded history. Later, I dreamed my playground had been taken over by miscreant semicolons. Piecing together the secret of the forest . . . Silence always guaranteed a reputation for wisdom, it was the oldest trick in the world. Piecing together the secret of the emperor . . .
Two distinguished gentlemen riding a unicorn, by artist Michael C. Hsiung. This man is a unicorn (and he couldn't be happier about it)! 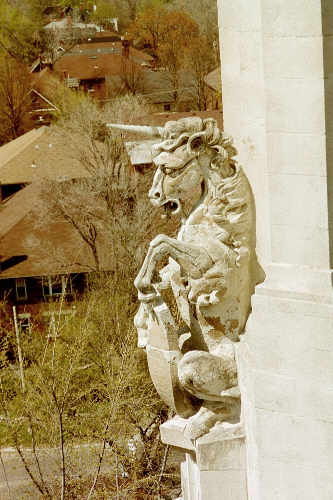 A unicorn gargoyle at the castle-like Casa Loma in Toronto, and a desktop unicorn gargoyle. Another view of Unicorn Peak and Mount Althuski from the summit of Cockscomb. Is this where unicorns go when they die? 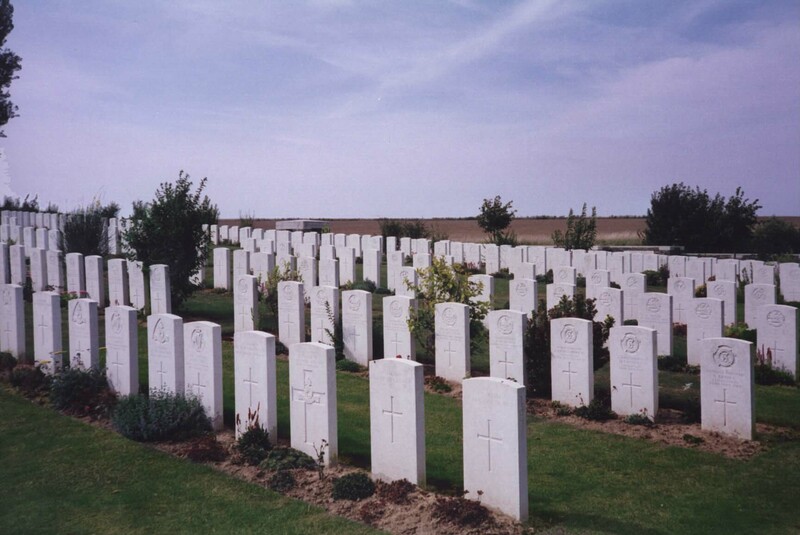 The Unicorn Cemetery. A faerie riding a unicorn. "Unicorn" by BangBang. The full palette description is here. "Fairy on a Unicorn" by Just Me. The full palette description is here. "Lady & Unicorn" by Amael. The full palette description is here. 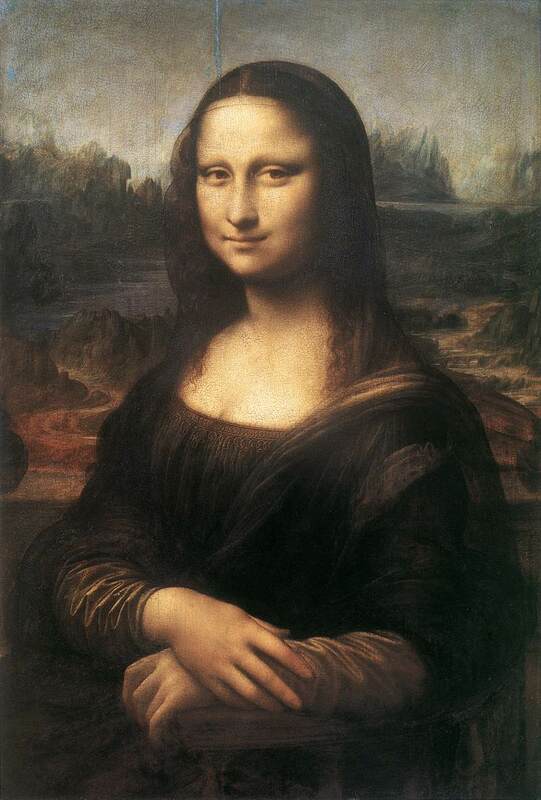 "Did a blurred view of the moon influence the smile of the Mona Lisa?" asks artist David Dodson. The answer is yes! 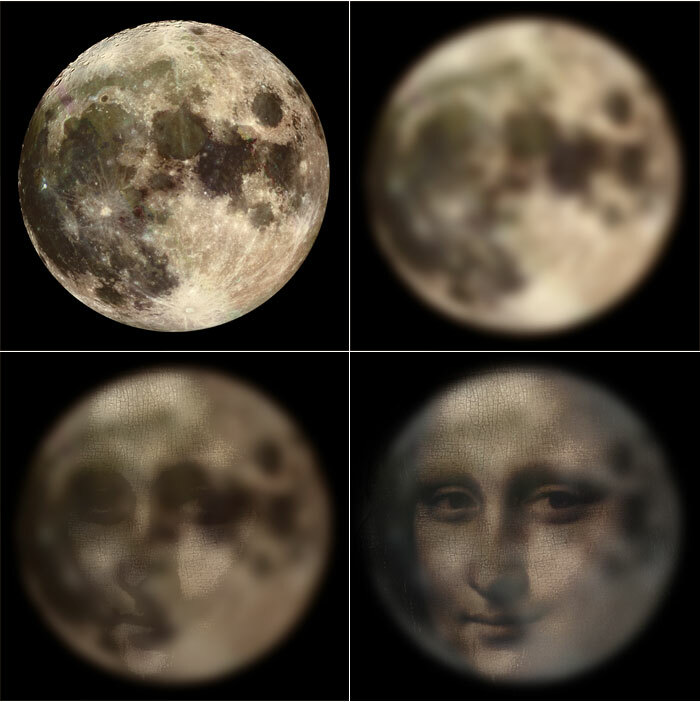 We put together this animation to show how the craters of a blurry harvest moon perfectly line up with the eyes, nose, cheek bones, and enigmatic smile of Leonardo Da Vinci's Mona Lisa. Ronan suggests, "So maybe the real question is ... what is the moon smiling at, eh?" Normally I would think this would be a little bit too far fetched to believe but curiously before I saw this picture and read about it, I had thought something similar. On my way up to Vegas one time it was a full moon but I could see it during the day. I thought the craters and things reminded me of a face of a sad woman! Ever since then I would always see the same face on the moon. This is actually very possible, since Da Vinci said to make glasses to see the moon closer - so he was definitely looking at the moon. Mona=Moon? I don't know but I thought this was interesting! Omg! I saw the moon last night and had never thought about it before. This is the first time to see your post. But I was thinking the same thing. Actually, Moon is "Luna" in Italian, but I was thinking he was playing with the words. I don't know, maybe Lona Misa? That's really far-fetched, but I know back then to paint a smile was "provocative" in that time, and they don't know who that picture was based on. Leonardo was an out of the box thinker and if there is a possibility that's a self portrait of him, I think there is a possibility that it's the moon he drew. A chair spiral by Tom Matthews. 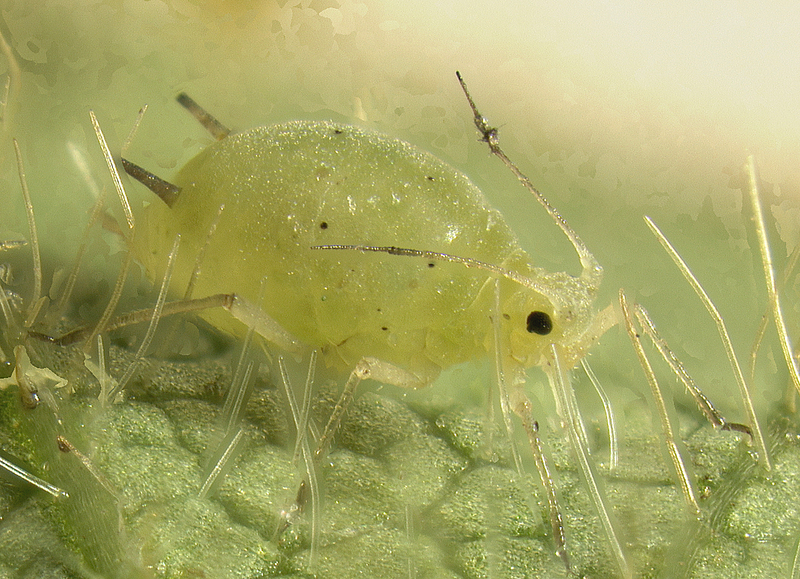 See full-sized version here. The philosophy department at my university was so small it didn't have a chair. Of course, the department did have the Platonic ideal of a chair. By the way, here's a picture of someone sitting on one of Plato's chairs. This blue chenille chair came up in my search for Plato's chair, but I doubt its authenticity. 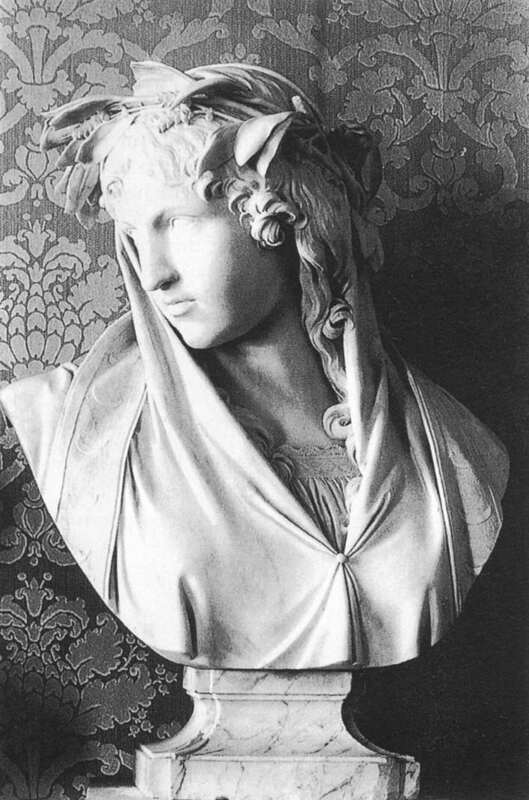 Piecing together the secret of the Eleusinian Mysteries . . .
Patron of the Exception that Proves the Rule. Saint Probat sees to it that not all good things must come to an end. She preaches against burning books, though abhors the idea of wasting good fire. She is beloved by those who joke about their own race. She ruled over Liam Neeson's thick German accent in Schindler's List. She oversees sumo wrestling, Neapolitan Mastiffs, and celebrities who confess that they have developed schizophrenia. Piecing together the secret of Easter Island . . . 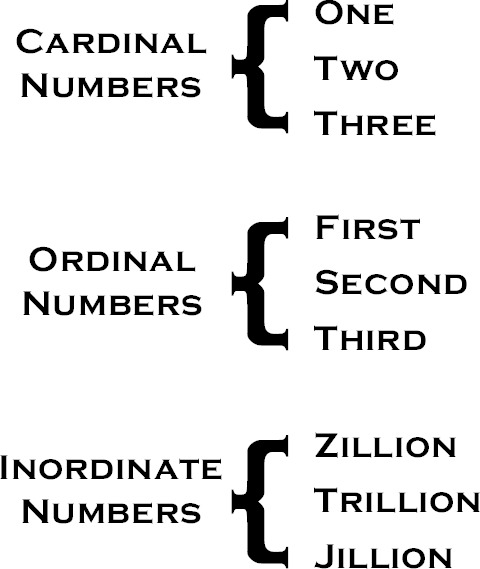 The double flat sign lowers a note by two semitones. Musician 1 asks: B-double-flat ... why not A? Musician 2 answers: A B-flat value is depressed. Musician 1 retorts: You touch the A key. Musician 2 concludes: Mechanical coincidence! *From the cult BBC science fiction film Artemis 81 by David Rudkin. When a place seems worn out—when everything’s dusty and there’s only one horse to get to the end of town on and it’s lame—the oldest trick in the book is to show it to someone new. Piecing together the secret of the earth . . . I just got an e-mail from an author in the Netherlands who is completing his Dutch dictionary of one-letter words. Stage Two of the Global Initiative has begun! Q: What kind of calligraphy is so beautiful that it makes people swear in amazement? The 10-letter word involves turning a horse.